On Salem Season 3 Episode 6, the dark lord once and for all announced his doomsday for the quiet little town. It's the upcoming Sunday – not Saturday, not Monday, but the mysterious "Black Sunday" that will destroy the town. Though, if the dark lord knew how terrifying Black Friday would be in the future, he might have reconsidered the date. Not much else has been revealed about the destruction, but it did create something amazing: Tension. There is a countdown now and a sense of urgency. For the next four episodes of Salem, it seems each episode will chronicle a day leading to the impending destruction. Ticking down until everything goes boom. Married on Wednesday. Bedded on Thursday. Sickened on Friday. Died on Saturday. Buried on Sunday. Every end must have its beginning, and some of us have been awaiting this beginning of the end for a very long time. And now it is here, this Sunday will at last be "Black Sunday". The timeline has always been an issue I've had with Salem. Simply trying to piece together the events and when things happened became a little complicated, especially when throwing in facts like Gloriana being pregnant and characters like Mary being dead. It will be nice knowing the timeline for the remainder of the season. Does anyone else like the strange dynamic between Cotton and the dark lord? They have this uneasy relationship where Cotton hates everything about the evil child while the dark lord loves toying with the preacher. Even down to the quips and facts thrown at each other are fun to hear. Dark Lord: Here's a little test for you, Mather, since you know your bible back-to-front. So tell me, whenever a human being encounters an angel in the books, what are the first words the angel always says? Dark Lord: Correct. And did you ever wonder why when encountering a human being an angel must immediately tell them not to be afraid? Because angels are monsters. We were then as are now: fearsome engines of wrath. Permalink: What are the first words the angel always says? The visual of them conducting the biography over the chess board is a moment that we need to applaud the set design and writers. This subtle scene showed Cotton two things: (1) the fact that God truly exists and is playing chess with the dark lord, and (2) the underlining symbolizing of the battle to come. Nothing else needed to be said to show Cotton the truth – it had everything there in a low-key tone. 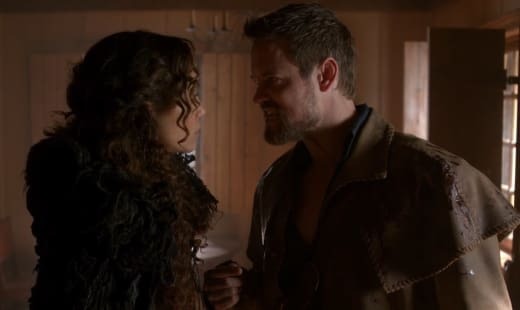 The same can be said for the scenes and relationship between Tituba and John Alden this episode. They HATE each other! But yet, I think she enjoys toying with him and giving him confusing advice to stop the dark lord. We need more scenes of these two characters together. Even though Tituba is the traitor we've been warned about, she did give us a beautiful gift: The reunion of Mary and John! It was perfect and emotional. You could feel the tender love and heartache between these two characters. Shane West and Janet Montgomery have incredible chemistry together. And we've been seriously lacking any moments between these actors (and their characters) nearly all season. This was a sweet scene to have as their reunion, with Tituba notwithstanding, of course. John: The taste...is so different. Mary: For the first time since we were parted, you were kissing me, not Mary the witch. Permalink: For the first time since we were parted, you were kissing me, not Mary the witch. Their romance is completely different than the relationship between Sebastian and Mary. Does anyone think his affection for her is more about obsession than love? His attention is too focused on her. It's one thing to love someone and have feelings for them – the heart is a confusing area, after all. But what he did with magic goes so far beyond the line. He forced Mary to sleep with him, and in front of John! Sebastian is terrible. He's evil! But who is worse: Sebastian or Anne? I think they're both horrible in their own right. Her obsession (or love) for Cotton has also crossed the line when she stole the baby from Gloriana. She's reached the desperate stage for wanting to keep him around. Trust me, Gloriana. This baby is as important to me as it is to you. Permalink: Trust me, Gloriana. This baby is as important to me as it is to you. Still, I'm hoping for a redemption moment from Anne this season. It doesn't look like Anne and Cotton will ever have their happy ending together, but she has time to do something good. 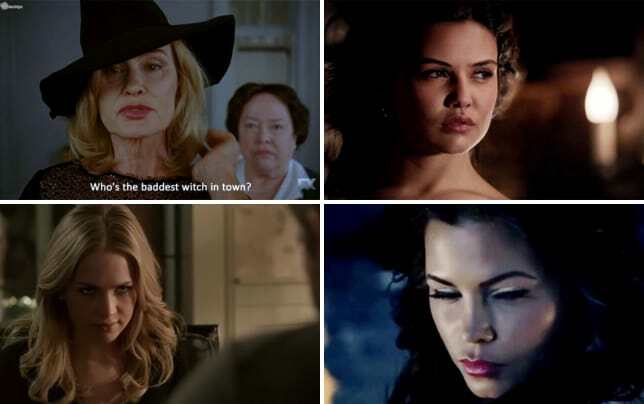 But just like her mother, she's falling deeper into the dark arts – and she's loving it. What happened to you, Anne?! The side storylines of protecting Salem, and the life of its citizens, are also getting further screen time. The war is coming; the dark lord said so – it's Sunday, let's not forget. And John building this militia will add another layer to it. Will the militia stand a chance against the dark lord's army? I'm not sure at the moment. But the group look ready to put up a fight and we have a few more episodes for them to get ready. The only area of the show that still needs to be tied in is the Mercy/Hathorne vs. Isaac story. 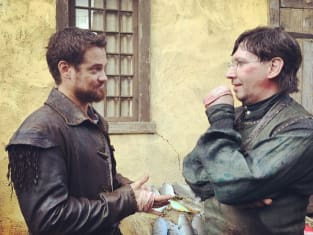 It's great to see Isaac's progression since the beginning of the series – he is now the leader that the forgotten people of Salem need in a time like this. And it's always great seeing Magistrate Hathorne get what's coming to him. But what about Mercy? Isaac isn't dead and her power is diminishing with the people of Knockers Hall. What did you think of "Wednesday's Child"? Will Mary kill Sebastian in retaliation? How long will Gloriana stay a secret? Did that little dollhouse creep anyone else out? Need to catch-up on the latest episode of Salem? You can watch Salem online via TV Fanatic. Come back to let us know what you think.